MSc Economics and Finance is designed to prepare graduates to work as economists in the investment banking industry and other international or government organisations or in research related roles. It is delivered jointly by the ICMA Centre and the Department of Economics. Students admitted to the programme will therefore benefit from rigorous training in both economics and finance and benefit from range of specialist modules offered by both departments. The programme is structured with a strong emphasis on the combination of theory and practice. It gives students both breadth and depth of understanding of economics and finance in a systematic way, combining theoretical, methodological and practical issues. Participants learn how to apply and use models but also the theoretical foundations behind the models. They also study micro and macroeconomics and acquire solid understanding of financial theories, corporate finance and financial economics, which will equip them with strong practical and analytical skills for financial services, investment analysis and research. Please note there is a one-off £30 application fee (one charge regardless of how many courses you apply for). You can pay this by credit/debit card at this link (please contact us if you require details of alternative payment methods). Living expenses are in addition to the above fees. Overseas full-time participants can expect to spend approximately £9,400 on additional living expenses during the course of their studies. Home/EU full-time participants can expect to spend approximately £8,000 on additional living expenses during the course of their studies. Please note that a non-refundable deposit is payable when confirming your acceptance of an offer of a place. This is part of your tuition fee and will be deducted from the total amount upon enrolment. We offer a number of scholarships for EU/UK and international applicants with excellent academic performance as well as for international applicants with work experience, covering from £5,000 to 60% of the cost of the programme. For a full list of scholarships, visit our scholarships webpage. Loans of up to £10,000 are available to eligible students studying for postgraduate Master’s courses from the 2019-2020 Academic year. To be eligible, students will need to be English domiciled. EU students, and individuals falling within certain specified categories, may also be eligible. Full details of the loan, including how to apply, are due to be published this year. Read more at Introduction of loans for postgraduate students and Government response to the Consultation on Support for Postgraduate Study. The MSc Economics and Finance will provide you with subject-specific skills enabling you to apply economic principles and models, whilst also understanding the larger driving forces shaping social policy as well as financial markets and skills in statistical analysis. The programme will help you develop specialized analytical skills, enabling you to successfully enter multiple industries as a professional economist, or in a number of professional roles with an eye for economics. Graduates are well placed to work as economists in the investment banking industry and other international or government organisations or in research related roles. This course will boost your employability in several other areas due to the strong demand for highly numerate graduates and the widely transferable analytical and problem solving skills developed by students who have both an economics and finance background. The programme will also enable you to embark upon further education and particularly a research degree (PhD) in the areas of Economics and Finance. Our master’s in finance courses are available only on a full-time basis with the option of studying for 9 or 12 months. Students will be resident and undertake full-time study in the UK. Under both, the 9 and 12-month programmes students take compulsory and/or elective modules in Part 2. The 12 month option involves taking an elective 20 credit module between July and August, which would also mean a 20 credit reduction in the number of taught modules taken in the spring term. Undergraduate Degree – Minimum 2:1 or the equivalent from an overseas institution*. Degree Discipline – Graduates that have taken Economics modules as part of their degree would be preferred although degrees from any discipline will be considered. Applicants must also demonstrate a satisfactory level of numeracy and have basic knowledge of Mathematics and Statistics. * Please note that due to increasing competition for places on our Masters programmes our entry requirements may change. We operate a rolling admissions system and you are therefore advised to apply early in order to be sure of your place on our programmes. We experience high levels of demand, and it is possible we might have to close applications to some programmes once places are filled. IELTS (British Council International English Language Test): Score of 6.5 overall with no component less than 6 when attending the 6-week pre-sessional English course offered by the University of Reading. Entry to this pre-sessional course with a score of 6.5 fulfils your English language requirement. Please note that students not attending a Pre-Sessional course will need to pass IELTS with an overall score of 7 and no component less than 6.0. For more options please see the International Study and Language Website or email a member of the Postgraduate Admissions team. Find out more about the tier 4 visa pilot scheme on the University of Reading website. This module aims to provide students with a detailed understanding of the factors that influence the decision-making processes of individuals and firms, and how these decisions interact with economic policies at the national and international level. This module is intended to form a basic master’s level understanding of the core theories necessary to understand microeconomic policy, and a theoretical basis to understanding economic issues and policies. Full details for this module can be found on the University of Reading website. The module covers the building blocks of econometrics and analytical techniques used in finance. Via case studies and computer modelling exercises, students learn how to apply these techniques to real data. Emphasis is placed on practical applications of the techniques in the global financial markets. This module provides an overview of the key building blocks in modern finance theory and introduces techniques for analysing and valuing different classes of risky assets such as equities and derivatives contracts. It also develops ways of optimally selecting portfolios of such assets and develops models of how these portfolios can be priced in financial markets. The techniques introduced in this module are widely applied in other elements of the programme. 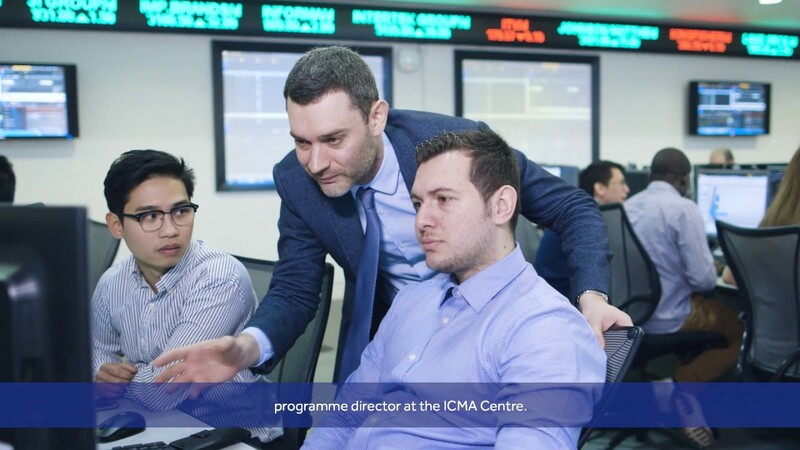 The module includes simulated trading sessions in our state of the art dealing rooms, where participants are introduced to real world pricing and trading strategies (INVEST sessions). Fixed Income and Equity Investments deals with the valuation of fixed income and equity securities. The module focuses on the basic characteristics of these securities and the strategies used for estimating their fundamental value and assessing their risk. Its primary aim is to discuss how certain characteristics and relationships can affect the value of fixed income and equity securities and how can they be exploited to form optimal investment strategies or for the purpose of conducting financial analysis. The analytical techniques introduced in this module are widely applied in other elements of the programme. This module is intended to form a basic master’s level understanding of the core theories necessary to understand macroeconomic policy. This module provides a theoretical basis to understanding economic issues and policies. In particular, it is concerned with how economic policies at the national and international level impact growth, employment, inflation, and recessions. The primary focus of this module is on understanding the underlying economics behind how asset prices are determined and how portfolio allocation decisions are made. This includes having an understanding of 1) the theory of choice and the objects of choice faced by an investor; 2) the optimal portfolio decision; 3) equilibrium asset prices; 4) equilibrium portfolio allocations given price and risk preference. The module is intended to be the next step beyond what is traditionally taught in an undergraduate intermediate course in international finance or international macroeconomics. It will introduce students to the concepts and techniques that are used in modern analysis of the global economy. The aim of the research project is to allow students to define and execute a piece of research in finance on a topic of their choice, with direction from an academic supervisor and with assistance from a doctoral student support supervisor. Building on the material introduced in Quantitative Methods for Finance, this module covers a number of more advanced techniques that are relevant for financial applications, and in particular for modelling and forecasting financial time series. These include an introduction to maximum likelihood estimation and two-stage least squares, models of volatility, simulation techniques, and multivariate models. Case studies from the academic finance literature are employed to demonstrate potential uses of each approach. Extensive use is also made of financial econometrics software to demonstrate how the techniques are applied in practice. The main aim of the module is to provide a rigorous grounding of the theory and practice of corporate finance and more specifically the long-term financial management decisions of the firm pertaining to investments, financing and payout and how they affect its value. It deals with how corporations are governed, their financing structures, payout policies, the processes involved in the issuance of public and private equity, as well growing through inorganic investment (mergers and acquisitions). The module also extensively deals with advanced financial analysis and enterprise valuation methods employed by financial advisors/investment banks as part of advising corporations. Students on this module take part in a bespoke investment banking pitch-book simulation challenge whereby they have to work with their team and produce a real life pitch-book including financial analysis on a real transaction as part of assessing the company’s strategic alternatives. This module provides an advanced treatment of individual decision making. The stating point will be the standard theories of decision making under risk (expected utility theory), uncertainty (subjective expected utility theory), and over time (discounted utility), as well as for the combination of risk/uncertainty and time (discounted expected utility theory). Subsequently, these theories will be probed for their descriptive accuracy based actually observed decisions. Building on those, the course will introduce descriptively accurate models of decision making from behavioural economics, and compare them to the standard models. This module focuses on both microeconomic and macroeconomic issues of development. It will provide a theoretical and empirical foundation to the economics of developing countries. This module is intended to cover the most important social economic policy issues of the day. Consequently, the topics may vary from year-to-year in order to reflect contemporary relevance. But, in each case, the emphasis will be on how economic analysis can contribute to the solution of domestic and international social problems. Indicative topics are: poverty, segregation and social exclusion; the economics of crime; education. It should be noted that Housing Economics, Social Policy of Health and Ageing and Climate Change – which are all important social issues – have separate modules available. Many developed countries are characterised by changing demographic trends. In particular, the domestic population is ageing, but they are also facing increased flows of international, relatively young, migrants in a globalised economy. By contrast, some developing countries are characterised by high proportions of the young. These changes to the demographics give rise to major economic and social issues, some of which are considered in other modules. However, ECM186 concentrates on (i) the effects of ageing on the demands for health care, including appropriate policies to cope with the burgeoning demands and (ii) health care in developing economies. This module presents a number of lessons from theoretical industrial economics for our understanding of corporate decision-making – such as price-setting, output-setting, investment in productive capacity, advertising and collusive behaviour. In this context, the role of industrial competition is emphasised and both the determinants of market structure and the imperatives for competition policy intervention are discussed. The objective is to introduce the students to programming and its usage for data processing and finance. It deals with how to write programming code, process files, receive input and provide output. Students who complete this course will be able to write programming code in Python, process files, input, output and manage data. Furthermore, students will be able to read and write to Excel and CSV files, connect to databases, obtain and process data from the Web, as well as use Python for Finance and Econometrics applications. This module aims to provide students with an understanding of financial decision making in the context of the energy industry. The course will combine theoretical models with practical applications. It focuses on energy markets (products, companies, production and consumption), capital budgeting in energy companies, financing of energy companies, energy derivatives and trading in energy markets. A number of case studies in energy finances are utilised. This module is designed for advanced Master’s students and doctoral students. It has a very high technical content. It aims to equip the students with the foundations of theoretical asset pricing and with the relevant skills for performing empirical tests. Additionally, a few important corporate finance topics will be covered in the format of student presentations. The objective of the module is to prepare students to become independent and quality researchers. The module is less quantitative option open to all MSc students that builds on the coverage of futures contracts from term 1. By the end of the module it is expected that students will be aware of the different ways of constructing stock market indices and the implications of these differences, how futures contracts are traded and the identity of some of the close substitutes for trading index futures, how futures can be priced using an arbitrage relationship, how futures can be used for hedging the price risk of the underlying, and the various uses that fund managers make of these instruments. This module gives students the opportunity to pursue a work placement with an external organisation broadly related to the general sphere of their degree studies. The aim of the module is to allow participants to gain work experience in a career path of interest, develop a wide range of employability skills, build their network and enhance market awareness. The maximum duration of the placement is 3 months and it takes place during the summer vacation period (June-August). Placements should be secured by students independently. The Centre’s career development office can support students in their search and application process. Placements secured by students are subject to the approval of the module convenor. The module is assessed by a 3,000 word project based on the work experience gained. I truly enjoyed my time at Henley Business School, working along a select, international group of excellent students and would strongly recommend this Masters to anyone who is interested in a truly unique educational experience.